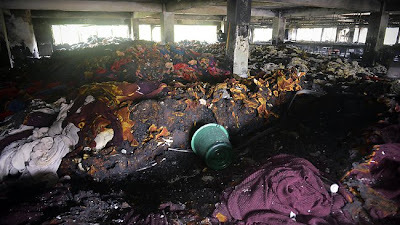 Last week, 70 retailers—mainly European—announced a plan in which all Bangladeshi garment factories that the companies use will be inspected within nine months. The commitment aims to improve safety in Bangladeshi factories, which are known for worker deaths from fires and other dangerous conditions. 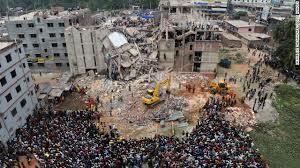 The accord was spurred by the collapse in April of a nine-story building, Rana Plaza, which left 1,129 people dead. The agreement states that when inspectors find safety risks, “a viable plan with renovations and repairs undertaken to address the hazards will be produced and workers will be paid while the factory remains closed.” The retailers vowed to ensure that adequate funds are available to pay for the renovations. Some of the signatories include H&M, Carrefour, and Marks & Spencer. Interestingly, not many American companies are included in the list. Steven Greenhouse from the New York Times notes that several said “they disliked the plan because it was legally binding, might subject them to lawsuits, and included some ill-defined potential obligations.” The few American companies that have joined the predominantly European plan include PVH, Abercrombie & Fitch, and Sean John. A few days after the European-dominated accord was signed, a group of top American retailers announced their own plan—the Alliance for Bangladesh Worker Safety. The alliance is made up of 17 major North American retailers, including Wal-Mart, Gap, Target, and Macy’s. The plan has many of the same elements as the European plan: it includes inspections of all factories, the creation of renovation plans, and safety training for Bangladeshi workers. North American retailers are committing $42 million for worker safety and more than $100 million in loans and other financing to help Bangladeshi factory owners correct safety problems. However, labor groups are pointing out that North American alliance is less strict than the accord reached among European companies. Labor activists claim that the agreement is weak and will not lead to change. Scott Nova, the Executive Director of the Worker Rights Consortium, notes: “It’s clever. It’s designed to sound like the accord. They talk about inspections. They talk about renovations. They can use all the rhetoric they choose, but if you look at the substance, there’s very little there.” ‪Under the North American plan, the burden falls on the factory owners to improve their workplaces. The American plan lacks legally binding commitments, whereas the accord of the European retailers assures—through a legally binding process—that the commitments to improve factories will be carried out.